For fans of Red Queen, Dividing Eden, and Six of Crows comes a stunning new fantasy epic about an outcast girl, the boy she loves, and the kingdom that has torn them apart. From the acclaimed author of Avalon comes a breathless, adventurous, romantic, and thrilling journey into a fantasy world you won’t soon forget. Something new by Mindee Arnett! 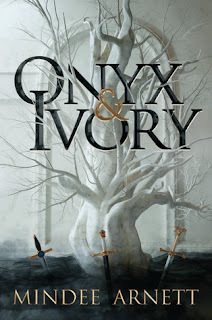 I really liked Avalon and Polaris, and I'm excited about this fantasy novel. It sounds different from her previous series, and very good! Ooh nice! Love the cover! Hope you enjoy this one once you read it! This sounds interesting! 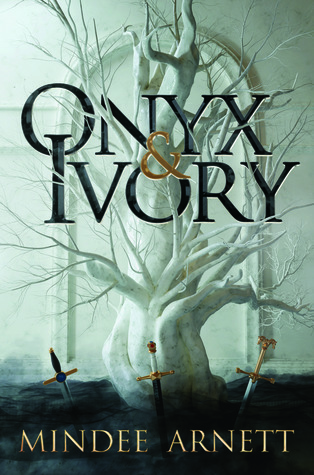 The cover reminds me of the White Tree of Gondor (LoTR). lol Adding to my TBR now! Liking that cover. I like the influencing animals part too. I love the Red Queen and this one sure sounds like my cup of tea. And those cover!!!! YAY! If you read it, I hope you like it, Vanessa! Well I did love me some Six of Crows as well as the first couple Red Queen books so this is something I need to keep an eye on! I'm not a big fantasy reader, so I'm not sure this is for me. I hope you love it when you get to read it though! Oooh! This sounds interesting and I love that cover! Great pick! I haven't read anything by this author before. I don't usually read fantasy, but this sounds really good. And I like that cover, too. This sounds like a fantastic read, and that cover is simply gorgeous! Great pick. You should try her Avalon duology! I'm hoping this book is just as good (or even better). Thank you, Ashtyn! Very, very cool cover! And Kate! I like how determined and fierce she is! I have not read this author and this book is new to me. It sounds rather interesting and I love the cover. Great pick! This one sounds interesting! I love the cover too! I hope you enjoy it!